It’s been a busy couple of months for Stratasys, as it said goodbye to its CEO, announced a joint investment with Xaar in its new company, and sold its Solidscape subsidiary to Prodways. At the RAPID + TCT Show in April, the company introduced its multi-color J735 3D printer, plus a new software feature, and now it’s gearing up for this year’s TCT Show, which hits Birmingham in just about two months. At last year’s show, the company’s 3D printed automotive components were on display on a McLaren race car. This year, Stratasys plans to show off its advanced 3D printed carbon fiber parts, along with its multi-material capabilities. 3D printed replacement machine part, produced in tough Stratasys FDM Nylon 12CF thermoplastic containing 35% chopped carbon-fiber. Visitors to the Stratasys stand will have the chance to see examples of the company’s many industry applications, from composite tooling to advanced prototypes and final part production, that show how its PolyJet and FDM technologies can lower production costs and time. Composite layup tool for a McLaren MCL32 rear wing flap, produced on a Stratasys Fortus 900mc 3D Printer using ULTEM 1010 material. One of these examples includes Visual First, a 3D printing service bureau operating in the Netherlands that replaces metal machine parts for its customers, like The Chocolate Factory, with Stratasys’ FDM Nylon 12CF. Using the company’s technology, The Chocolate Factory was able to lower its costs by 60% and reduce the time it takes to replace broken machine parts from one month to one week. Just like last year, Stratasys’ solutions for McLaren Racing – 3D printed composite tools – will also be on display at the stand, which helped the company save up to 90% on production costs and time. At the upcoming TCT Show, Stratasys will also be showcasing its professional prototyping solutions, including its FDM-based F123 Series. 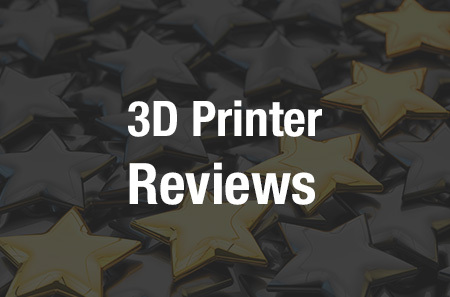 The company received over 1,000 orders for the 3D printers in this series in the first six months after they were introduced, and no wonder – the F170, F270, and F370 are easy to use at any stage of the prototyping process, from concept verification and design validation all the way to functional performance. The company will also be demonstrating its J750 3D printer, the only one in the world with full color and multi-material capabilities. The J50 gives designers the chance to save time during the prototyping phase, as it gets rid of several unnecessary assembly and post-processing steps during product design; this allows fast decision-making for product development. The Audi Plastics 3D Printing Center will use the unique J750 3D Printer to produce ultra-realistic, multi-colored, transparent tail light covers in a single print. An example of what the J750 is capable of – a 3D printed model of ultra-realistic rear brake light housings for Audi – will also be on display at the Stratasys stand at the TCT Show; Audi was able to produce these housings 50% faster than it would have using its old prototyping methods. To see all of these examples of what Stratasys’ technology is capable of, and to get a good look at its Fortus 380CF, F123 Series, and J750 3D printers for yourself, visit the company at the TCT Show in Birmingham, September 25-27, at Stand H36 in Hall 3. You can register for the show here. Discuss this story and other 3D printing topics at 3DPrintBoard.com or share your thoughts in the Facebook comments below.